Missing 'Priceless' Artwork? Call Robert Wittman Wittman founded the FBI's Art Crime Team and has tracked down more than $225 million worth of stolen art and cultural property — including a $36 million self-portrait by Rembrandt. 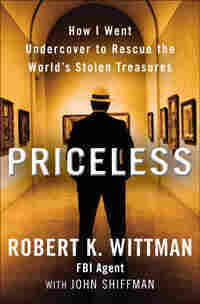 Wittman describes the heists in his new memoir, Priceless: How I Went Undercover to Rescue the World's Stolen Treasures. 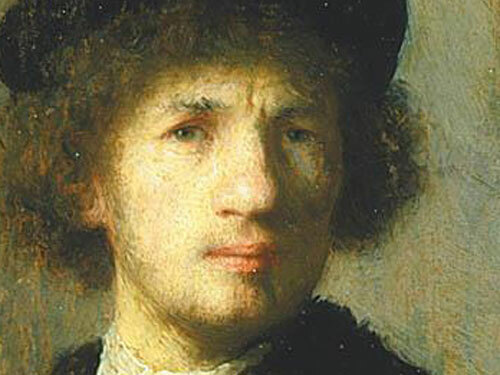 A self-portrait by Rembrandt, valued at $36 million, was taken from the Swedish National Museum in 2000. Robert Wittman, founder of the FBI's Art Crime Team, went undercover — as an authenticator for an Eastern European mob group — to recover it. In late December 2000, three people armed with machine guns went into the Swedish National Museum in Stockholm and ordered everyone to get down on the floor. For the next 40 minutes, the thieves ran through the museum, taking two Renoir paintings and a 1630 self-portrait by Rembrandt -- a painting valued at $36 million. Simultaneously, two car bombs went off on the main roads leading to the museum, located on a small peninsula in central Stockholm. As the thieves made their getaway in a high-speed boat, police could not access the museum because the highways were completely blocked. Swedish authorities called in Robert Wittman to help them track down the paintings -- and the thieves who stole them. Wittman, who spent 20 years with the FBI, is one of the world's leading authorities on recovering stolen art and cultural property. After founding the FBI's Art Crime Team, he revolutionized the way the bureau tracks down criminals who swipe paintings and antiquities in high-profile heists around the world. For the Swedish case, Wittman went into the field, posing as a crooked art dealer looking to swap cash for the Rembrandt. After weeks of negotiation, he agreed to meet the thieves in a hotel room in Copenhagen. "I was undercover at that point as an authenticator for an Eastern European mob group," he tells Fresh Air contributor Dave Davies. "After about two weeks with the thieves who were still in Stockholm, we negotiated the price [of the Rembrandt] down to $250,000. We actually had $250,000 in cash in the hotel room. We were bringing it back and forth to let them know it was real." Robert Wittman has recovered more than $225 million worth of stolen art and cultural property during his 20-year career with the FBI. In the hotel room, video surveillance was recording every move Wittman and the thieves made. Next door, a Danish SWAT team was waiting for a signal from Wittman to move in and make arrests. Wittman had to convince the thieves the money was good before the fourth accomplice finally brought the painting to the hotel. 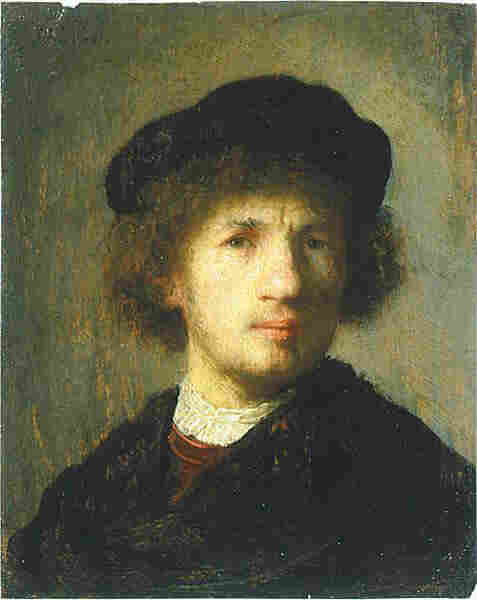 "And at that point, we were able to recover that $36 million Rembrandt," he says. "Which was, probably the finest painting in the [Swedish National] Museum." In addition to the Rembrandt, Wittman has helped recover one of the original copies of the Bill of Rights, two paintings by Francisco Goya, five Norman Rockwell paintings and Geronimo's eagle feather war bonnet. 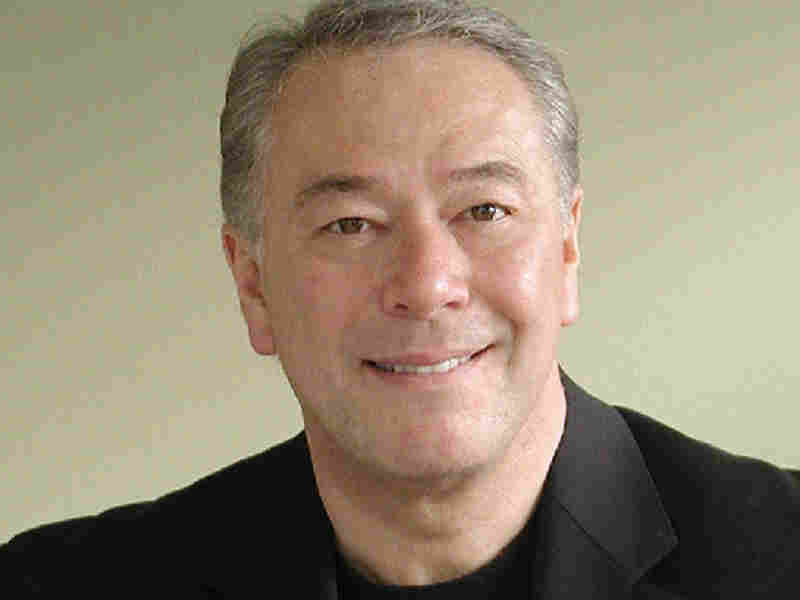 He is the co-author of Priceless: How I Went Undercover to Rescue the World's Stolen Treasures. South Beach called himself Sunny, sat stoically, an unlit Marlboro between his lips. He, too, searched for suspicious vehicles. In the backseat, I glanced at my borrowed Rolex and watched with amusement as Laurenz's domed head bobbed and weaved with the traffic. At this rate, we were going to arrive early, assuming Laurenz didn't attract a traffic cop or get us killed first. He shifted lanes again, and I gripped the handle above the door. Laurenz was an amateur. A bored real-estate magnate in a V-neck T-shirt, faded blue jeans, and sandals, he longed for adventure and assumed that this was how criminals ought to act on the way to a big deal -- drive erratically to make sure no one is tailing them. Just like in the movies. Behind black- mirrored shades, I rolled my eyes. "Relax," I said. Laurenz pursed his lips and pressed a sandal on the accelerator. I tried again. "Um, it's kind of hard to be inconspicuous to the police when you're driving ninety miles an hour down I-95 in a platinum Rolls-Royce Phantom." Laurenz pushed on. A self-made man, he didn't take orders from anyone. Sunny, still pouting because I wouldn't let him carry a gun, ignored me as well. He ran a stubby hand through his thick mane and quietly stared out the window. I knew he was nervous. He fretted that Laurenz was too temperamental -- a whiner and ultimately a coward, a guy who might appear bold and buff, but couldn't be counted on if things turned violent. Sunny didn't speak much English and I didn't speak much French, but whenever we talked about Laurenz, we agreed on one thing: We needed his connections. I tugged my seat belt tighter and kept my mouth shut. The two Frenchmen in the front seat knew me as Bob Clay. In using my true first name, I was following a cardinal rule of working undercover: Keep the lies to a minimum. The more lies you tell, the more you have to remember. Sunny and Laurenz believed I was some sort of shady American art dealer, a guy who worked both sides of the legal and illicit art markets, an international broker comfortable with multimillion-dollar deals. They didn't know my true identity: Special Agent of the Federal Bureau of Investigation and senior investigator of the FBI's Art Crime Team. They didn't know that the European criminal who'd vouched for me in Paris was in fact a police informant. Most important, Sunny and Laurenz viewed today's sale of six paintings as a mere prelude to the Big One. Together, with their French underworld connections and my money, we were negotiating to buy a long-lost Vermeer, a couple of Rembrandts, and five sketches by Degas. This collection of art was worth $500 million, and far more significant, it was infamous. These were the very masterpieces stolen seventeen years ago during the greatest unsolved art crime in history, the 1990 theft from the Isabella Stewart Gardner Museum in Boston. It was the mob; it was the IRA; it was a made- to- order heist by a foreign tycoon. The thieves didn't know what they were doing; they knew exactly what they were doing. The burglars were long dead; they were alive, living in Polynesia. It was an inside job; the police were involved. The paintings were buried in Ireland; they were hidden in a Maine farm house; they hung on the walls of a Saudi prince's palace; they were burned shortly after the crime. Journalists and authors investigated and wrote speculative and scandalous takeouts. Filmmakers produced documentaries. Each year, the legend of the Gardner heist grew. It became the holy grail of art crime. Now I believed I was weeks away from solving it. I'd spent nine painstaking months undercover luring Sunny and Laurenz, ingratiating myself with them to win their trust, and today's entire ruse on a leased yacht was a near-final step in that process, designed to prove to them beyond a doubt that I was a serious player. The six paintings in the trunk were rank forgeries, copies I'd picked out at a government ware house, yet good enough to fool Laurenz and Sunny. The FBI script called for the three of us to go for a short cruise aboard the rented boat, The Pelican. There, we would meet a Colombian drug dealer and his entourage, and sell him the paintings for $1.2 million -- to be paid with a mix of bank wire transfers, gold coins, and diamonds. Of course, the drug dealer and everyone else on the yacht -- his henchmen, the hot women, the captain and stewards -- were fellow FBI undercover agents. As we rolled toward our exit, the script reeled through my head and I visualized last- minute preparations aboard The Pelican: the Colombian dealer opening a shipboard safe, withdrawing a handful of Krugerrands and a sack of diamonds; the four brunette babes, hard bodies in their late twenties, stashing their Glocks and slipping into bikinis; the stewards in white linen uniforms laying out tortilla chips, salsa, rare roast beef, shoving two magnums of champagne into ice buckets; a sullen Irishman alone on a curved cream sofa, hunching over text messages on a silver BlackBerry; the captain flipping on hidden surveillance cameras and hitting "record." The Rolls sped east onto the MacArthur Causeway, the majestic link between downtown and Miami Beach. We were five minutes out. I thought about the phone call I'd made to my wife earlier that morning. I always called Donna in the last moments before an undercover deal. I'd say I love you, and she'd say the same. I'd ask about her day and she'd talk about the kids. We always kept it short, a minute or two. I never said where I was or what I was about to do, and she knew better than to ask. The call not only calmed me, it reminded me not to play hero. We pulled off the causeway and Laurenz eased into the marina parking lot. He stopped the Rolls in front of the blue-and-white canopied dock house. He pushed a five- dollar bill into the valet's hand, took the ticket, and turned toward the yacht. Of the three of us, Laurenz was the youngest and in the best shape, but he marched straight to the great white boat, leaving Sunny and me to unload the paintings. Sunny didn't care. He was a connected guy in France, close to one of five Marseilles mob families known as La Brise de Mer, an organization whose signature hit is carried out by motorcycle assassins. But Sunny was no leader; he was a soldier, and one with mixed success. He didn't like to talk about his background, but I knew his history of theft and violence in southern France stretched back to the late 1960s. He'd spent the 1990s in harsh French prisons, then had been busted twice for aggravated assault before slipping off to South Florida. Laurenz's story was a quintessential Florida immigrant tale: A former accountant and money changer for wiseguys in Paris, he had fled France a wanted man. Laurenz arrived in Miami with $350,000 in the mid-1990s, at the dawn of the last real estate boom. He smartly parlayed a combination of no-interest loans and a keen eye for distressed properties -- plus a few well- timed bribes to the right lenders -- into the American dream. Most of what Laurenz told me checked out, and on paper, he was probably worth $100 million. He lived in a gated $2 million house with a pool and Jet Skis docked on a private canal that fed into Miami Bay. He wore monogrammed shirts and rarely went a week without a manicure. Laurenz drove the Rolls everywhere, unless he needed to ferry his dogs. For that, he used the Porsche. Sunny and Laurenz had not known each other in France. They'd met in Miami. But they knew some of the same people back home, wiseguys with access to the people holding the stolen Vermeer and Rembrandts in Eu rope. The French police wiretaps confirmed that Sunny and Laurenz spoke regularly with known European art thieves, and on the calls, they talked about selling a Vermeer. There was only one missing Vermeer in the world, the one from the Gardner. As I approached the yacht, I took in the scene -- the hearty welcome, the bikini babes, the thundering calypso music, and it struck me as slightly off key. I wondered if we weren't trying too hard. Sunny and Laurenz weren't stupid. They were good crooks. 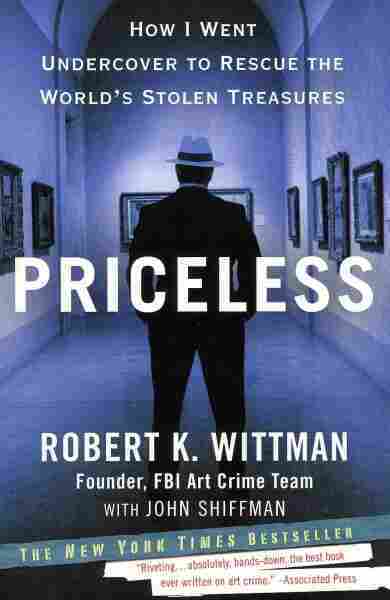 Reprinted from Priceless: How I Went Undercover to Rescue the World's Stolen Treasures by Robert K. Wittman with John Shiffman. Copyright 2010 by Robert K. Wittman. Published by The Crown Publishing Group, a division of Random House Inc.